Every time you notice a “Check Engine” light flashing on your car dashboard, you simply need to take the car to a service station. However, you can very easily fix these problems on your own when you have access to Foxwell NT201 OBD2 Scanner. Foxwel NT201 Scan Tool is a highly recommended product for all car owners. It is an efficient, powerful, and easy-to-use car diagnostic tool. 4 Who Is Foxwell NT201 Built For? 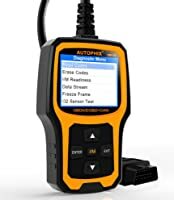 By using this device, your life would be pretty easier as you can exactly detect what’s wrong with your vehicle and fix it immediately. 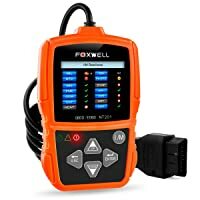 Foxwell NT201 OBD2 Scanner is a highly recommended product for all car owners. It is an efficient, powerful, and easy-to-use car diagnostic tool. 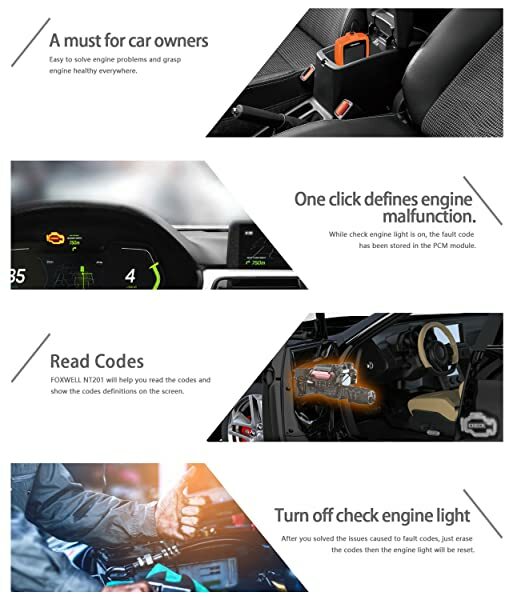 The product offers reliable performance and helps you check and switch off MIL – Malfunction Indicator Light (Check Engine Light). The product comes at an extremely affordable price tag. Keep reading in order to reveal more details about this automotive scanner and its amazing features. One of the greatest features of this scanner is its outstanding “Car Compatibility”. The product is ideally compatible with most of the Asian, American, Australian, and European vehicles. Therefore, starting with Hyundai and Nissan to Benz, Ford, and Porsche — this product is compatible with all of these car models. The product is compatible with several vehicle models. All OBD2 compliant US cars that are manufactured in the year of 1996 or later. Japanese OBD2 compliant cars that are designed in the year of 2003 or later. OBD2 compliant EU cars from that are designed in the year of 2000 or later. You can use this product to fix faults at your home (without visiting a car repair shop). Apart from that, you can use the OBD2 scanner in garage environments as well so that all professional mechanics can quickly diagnose problems. The product can be also used to view manufacturer-specific information and generic fault code definitions. A bright, colorful screen will display all of this information. For your reference, please find the major functionalities of this advanced automotive scanner (at a glance). Use this tool in order to read, check, clear, and turn off engine fault codes. It allows you to switch off MIL or Check Engine Light faults. It lets you read freeze-frame data where you can take a snapshot of your car sensor values whenever a DTC has occurred. Use this scanner to get live data streams ( real-time ) from the car engine sensors. It’s ideal for detecting and monitoring various intermittent faults. You can use this device viewing “Readiness Test Status” for emission testing. It clears codes and even resets monitors. The product comes with a unique yet patented One-Click Readiness Key. You can use this key for two purposes, such as drive cycle verification and Emissions readiness check. As mentioned, the product is extremely easy to use. The best part is that — you really don’t need to possess prior experience or proficiency to detect and fix these errors. It comes with bright, luminescent, and color-coded LEDs to offer a visual indication of the problem. In addition to this, the model has a beep speaker which provides an audible indication for a quick readiness verification. Therefore, the product offers both visual and audible indication. Note, it’s a unique feature of this automotive scanner. The menu options of this OBD2 scanner are displayed in a bunch of commonly-used languages, such as English, French, Portuguese, Swedish, and Spanish. Compatible with US, Asian, European, Australian and Japanese vehicles. Show the codes’ definition directly. Allows you to check and clear MIL and Light Engine errors. Both audio and visual indication. Nothing to be mentioned as such. Can retrieve VIN. Autel Al319 supports VIN, MIL, I/M readiness, Freeze Frame Data, etc. Botttom Line Foxwell NT201 is great code reader for beginners and DIYers. 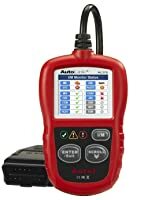 Autophix OM126 is for any car owners who want to read and clear the CEL and do simple tests to save money. If you want to turn off the CEL and do simple tests yourself, Autel Al319 is for you. Who Is Foxwell NT201 Built For? 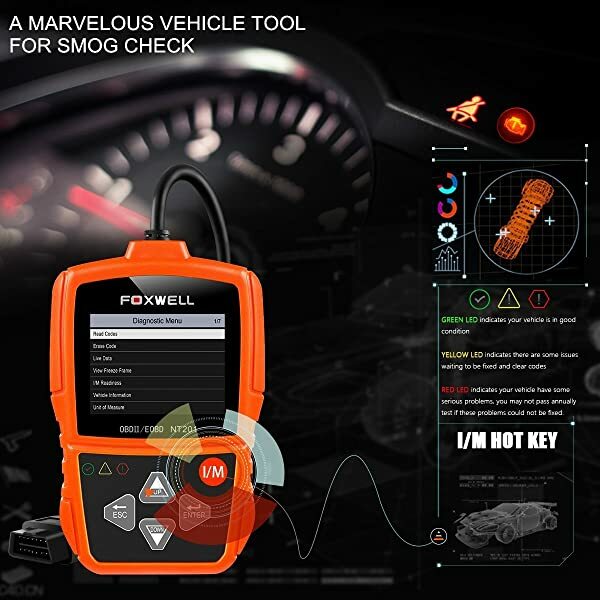 Ideally, Foxwell NT201 is a useful choice for all car owners. MIL or Malfunction Indicator Light is a pretty common car issue. To quickly check and fix this error (without seeking help from a technician or spending loads of money), it will be an intelligent and meaningful decision to buy this product. Going forward, there is absolutely no need to take your car to the nearby service centers for solving “Check Engine” light errors. Clearly, the one-time purchase of this model will let resolve various car-related problems like a Pro. Other than that, the car mechanics of a garage or vehicle repair shop can use this product to offer the customers quick support. 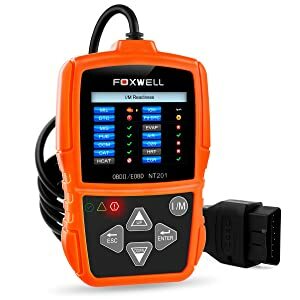 With this, you have revealed an in-depth and comprehensive review of Foxwell NT201 OBD2 Scanner. Do not hesitate to use this product for quickly fixing your MIL errors, resetting the monitor, viewing live streams, and clearing codes. Snap On Modis Ultra EEMS328 is more than just a reinvention of the original MODIS. It is considered as the best choice for professionals and mechanics.